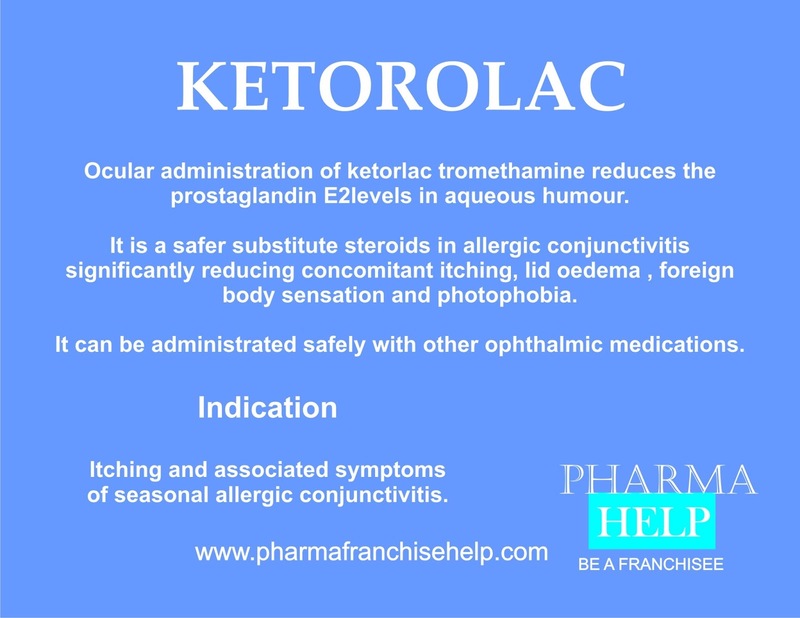 It is a safer substitute steroids in allergic conjunctivitis significantly reducing concomitant itching, lid oedema , foreign body sensation and photophobia. It can be administrated safely with other ophthalmic medications. Itching and associated symptoms of seasonal allergic conjunctivitis.